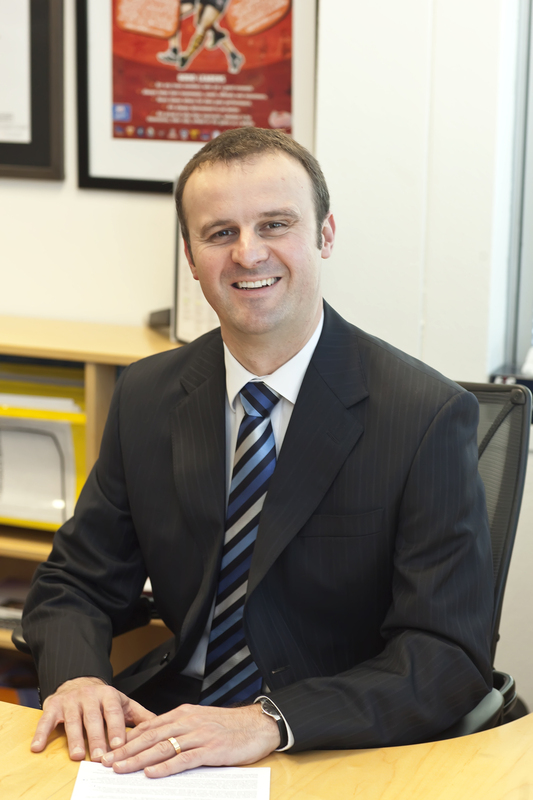 Andrew Barr, the ACT’s Deputy Chief Minister and Treasurer provides his views for the ‘small’ interview project. Mr. Andrew Barr- MLA has kindly provided his views on the ACT business challenges and opportunities in this written response to modified questions for the ‘small’ interview project. I greatly appreciate the time and responses and more importantly the interest in Andrew taking part and demonstrating a viewpoint for the region’s small business owners. As Treasurer I oversee the ACT Government’s Budget, which is in the order of $4.5 billion a year, and the management of the Territory’s finances. As Minister for Economic Development I take an active role in helping the ACT economy to diversify and grow. In particular, the Government is implementing its Business Development Strategy, which contains numerous programs and initiatives to assist local firms. Q2: Why do you think thousands of people go into business? Because they’re passionate about the goods or services that they’re offering. There are 25,000 businesses operating in Canberra – so that’s a lot of people out there in our community doing their bit. Q3: Have you ever been in business and if so what was your biggest challenge, if not, why did you choose to get a job vs. business? Aside from a few years of “home handyman” work when I was a student, I’ve not run my own business. I worked in the private sector in sales and account management roles before entering politics. Having been on both sides of the fence – Government and private – I can understand the challenges businesses face. Running a small business is something I’m considering after leaving politics. Q4: What do you feel is the biggest challenge in business? Feeling like you’re out there on your own, dealing with the myriad of issues that business owners face. But it’s important to know help is at hand – such as from industry bodies or the local Chamber of Commerce. Q5: How would you advise business owners balance working ‘on’ vs. ‘in’ their business? As Treasurer I’m constantly balancing looking at short-term policies and challenges, which need a quick turnaround, and other longer-term issues, such as taxation reform and cutting red tape. It can be a challenge, but my advice would be to always keep the long-term goal (whether that’s growing a business, or an economy!) in mind. Q6: What advice would you have for potential or existing newcomers to business?